Juice limes, add tequila,water, canned milk. 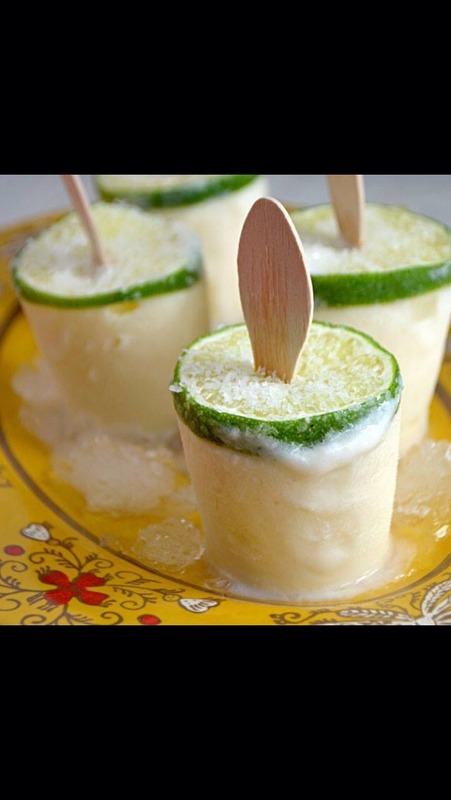 Push Popsicle sticks into center of limes place into freezer. Sprinkle margarita salt on top of lime enjoy!